We are Supplier of SPC Software for our widely spread clients. It is designed and developed by professional experts that are thoroughly updated with the current industrial growth, by inculcating innovative technology in compliance with the globally accepted standards. our SPC Software goes through various inspections to ensure reliability and flexibility to deliver bug free and compatible software. We offer it at highly pocket- friendly prices in the market along with user-friendly interface, secured and independent platform. Part Registration (Master Entry), Parameter Registration (Master Entry), Machine name (Master Entry). Operator name (Master Entry), Batch Number (Master Entry), Port Setting (Communication port & Baud rate). 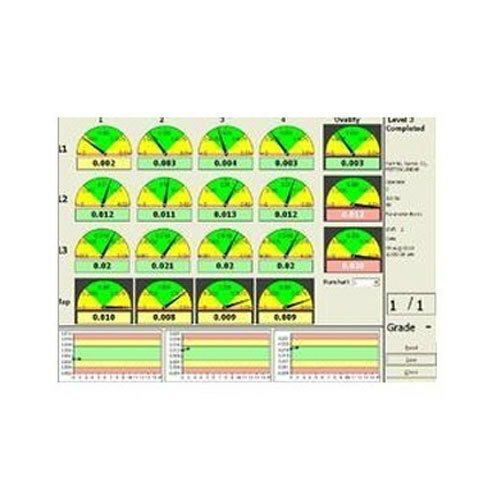 Data Acquisition Screen (current reading along with last four readings display). Administrative level authority and user level authority. Add user, modify user, delete user and change authorities of a user options. Established in the year 2017 at Chennai, Tamil Nadu, we “Kazhugu Alavukol Private limited” are involved as the manufacturer of Measuring Gauge, Display Unit, Counter Display, Column Air Electronic System and many more. Our organization always ensures the best quality of products. The quality of these products is maintained by skilled and hard working experts.